It's National Pollinator Week and Wildflower Wednesday. Could there be a better time than now to showcase my favorite wildflower pollinator magnets while discussing pollinator gardening? I am often asked to help friends plan their garden. The first thing I do when anyone asks me what they should plant in their garden is to share my gardening philosophy, then I say this: "It's your garden, you can plant what ever you want, but, please remember to plan for all the critters that live and visit your garden." I tell them that they will never be sorry! Pollinators will thank them by hanging around pollinating flowers and vegetables/fruits; beneficial insects will raise offspring that will gobble up harmful insects; and songbirds and spiders will keep the insects in check. The more you plan and plant for critters...crawling, flying and even digging ones, the healthier and more diverse your garden will be. I tell them that it's important that anything they put as much work and effort into as they put into a garden should bring joy and that gardening for critters adds to that joy. 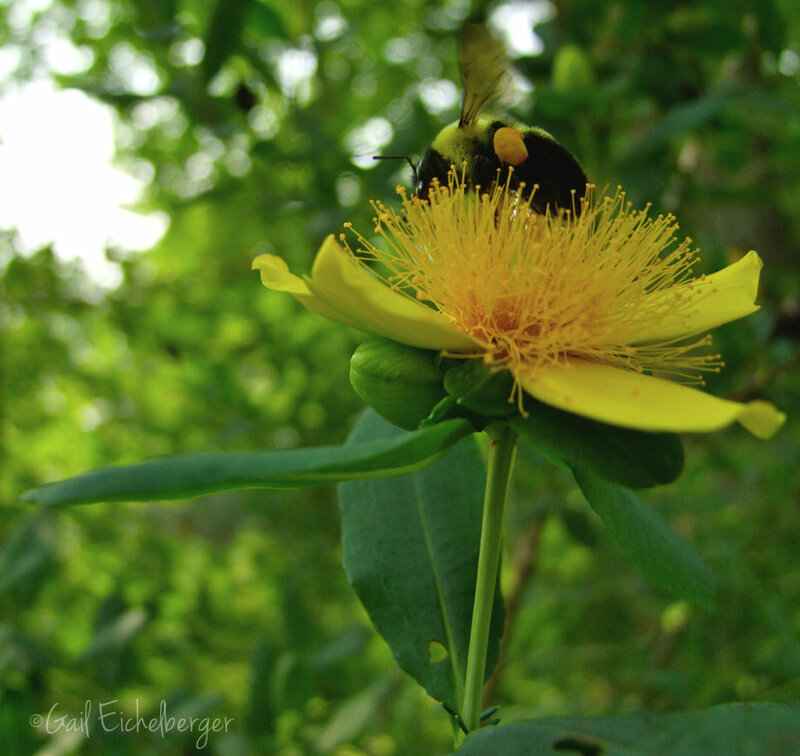 Hypericum frondosum attracts small and large bee. We've been convinced by advertising that a garden should be perfect and that insects are harmful and must be eliminated or they will damage our flowering plants and make them ugly. I encourage anyone who asks for my help to reconsider beauty and to begin to appreciate the insect damaged plant as providing food for a critter that may in turn be food for a spider, another insect or a song bird. 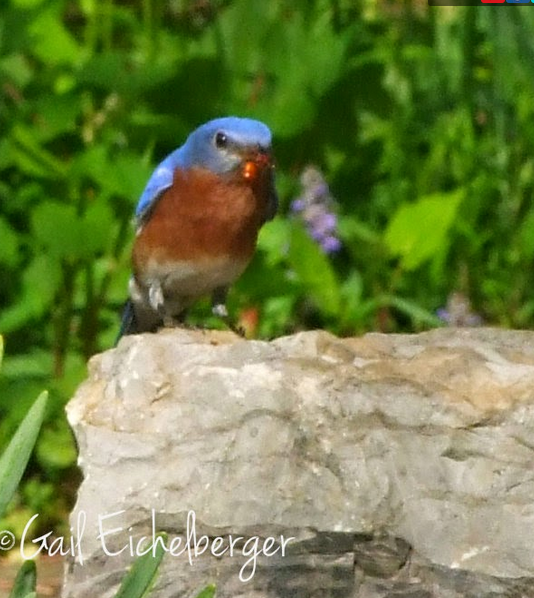 See bluebird photo above. I encourage these gardeners to look at their plants very closely to find insects that might be living on them. A friend told me she use to pull the caterpillars off her fennel before she knew they were Swallowtail butterfly cats. New gardeners need to make sure ugly bugs aren't beneficial insects before you pluck them off or squish them. Some of the "good bugs" include lacewings, lady beetles, minute pirate bug, soldier bugs, assassin bugs, braconid wasps, tachinid flies, flower flies and aphid mites. I ask them to consider the bigger picture, that their garden might be an oasis of food and shelter in a sea of over fertilized and pesticide treated lawns. I garden in a sea of lawns and know how important a wildlife friendly garden is to pollinators and other critters. My personal goal is to make a lovely garden that provides nectar and pollen for bees and butterflies from late winter until late fall. Clay and Limestone is a garden for all critters to find food and shelter and to raise their offspring. It's also a stopping off place for water and food (seeds and berries) to migrating birds. When I say all critters, that includes pesky rodents and mammals. 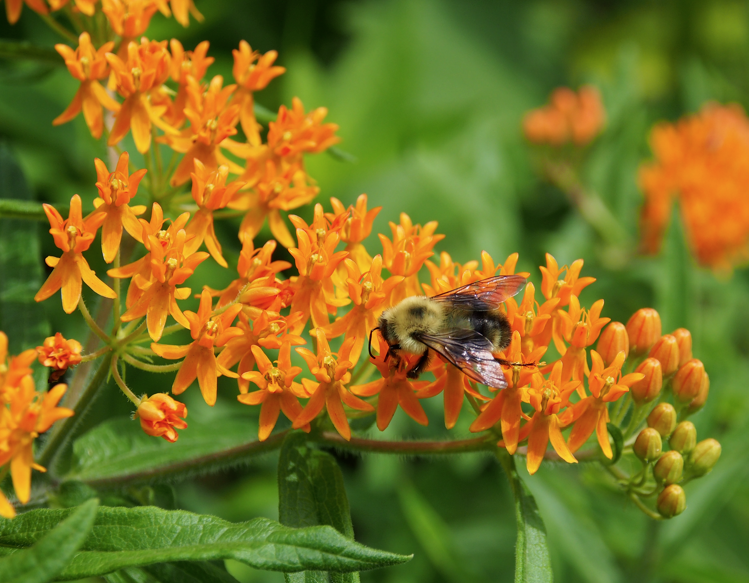 If you're a new gardener and want to create a pollinator friendly garden or want to add more pollinator friendly plants to your garden, I urge you to take time to figure out what plants make sense for your garden conditions. Invest in a good wildflower identification guide for your part of the country, join a native plant society and visit your local botanical garden and arboretum. If you are lucky enough to have garden centers that sell native plants shop there and not big box stores. It took me years to figure out that gardening would be a lot more fun and successful if I gardened with Middle Tennnessee/ Central Basin natives, after all they evolved with our wet winters and dry summers. Now they are my go to plants. 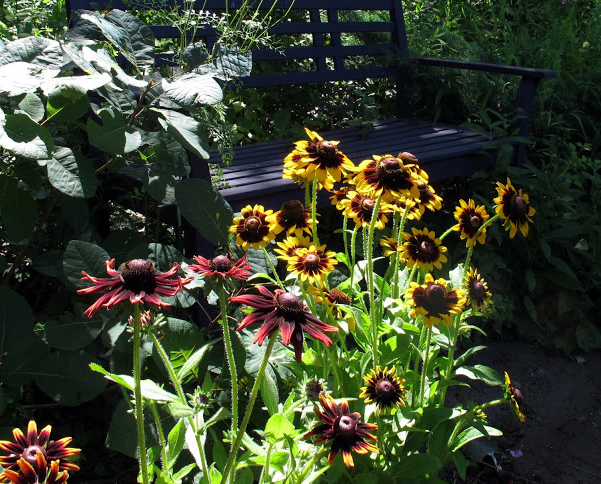 Native annuals/short lived perennials like Rudbeckia hirta cultivars are wonderful additions to a pollinator garden. Lavender, sweet alyssum and herbs are also good additions to a pollinator friendly garden. Beneficial insects love many of them and we want beneficials in our gardens. 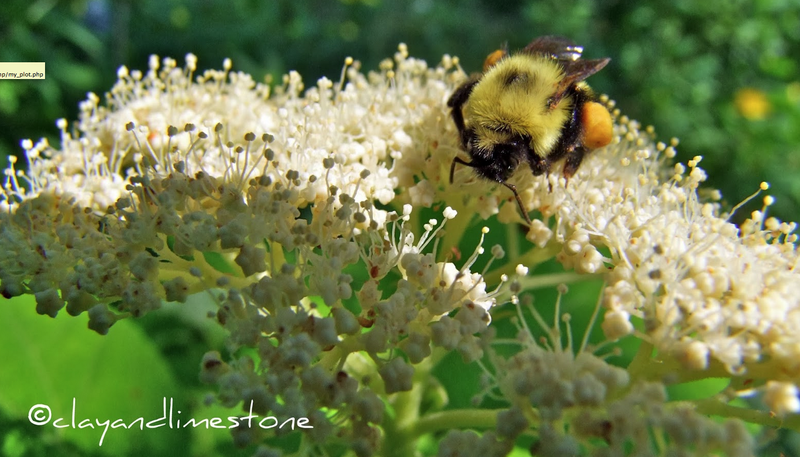 When you're creating your beautiful pollinator garden, be sure to include trees and shrubs, you might be surprised to learn that many of the woodies are far more important to insects than flowering plants. When you think about ornamental grasses, and I know you will, please consider planting one of our fine native grasses. 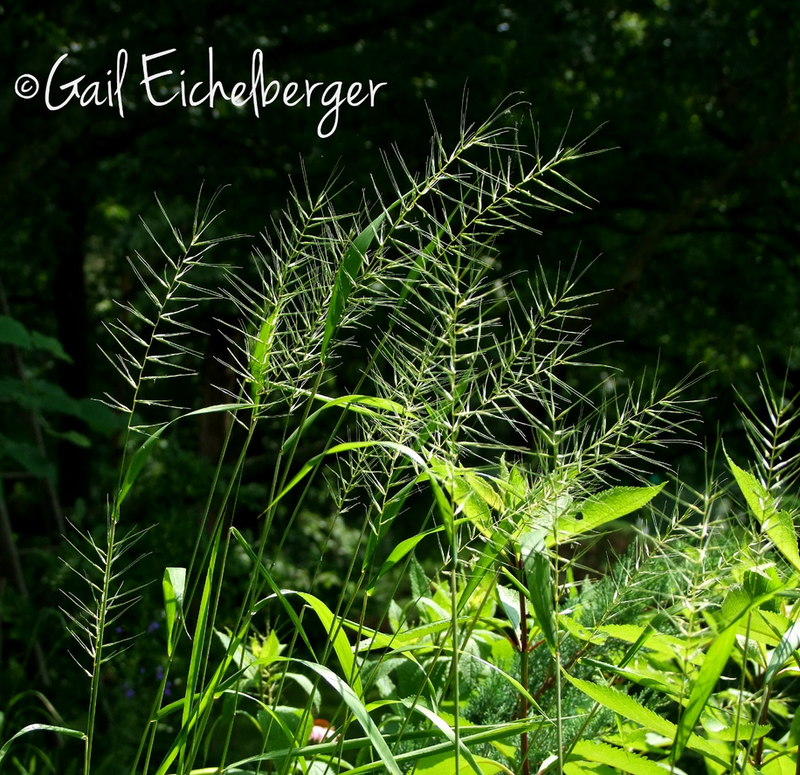 Grasses like early blooming Bottle Brush grass fill the garden with movement and beauty all year long, while providing food and shelter for visiting mammals, birds and insects. 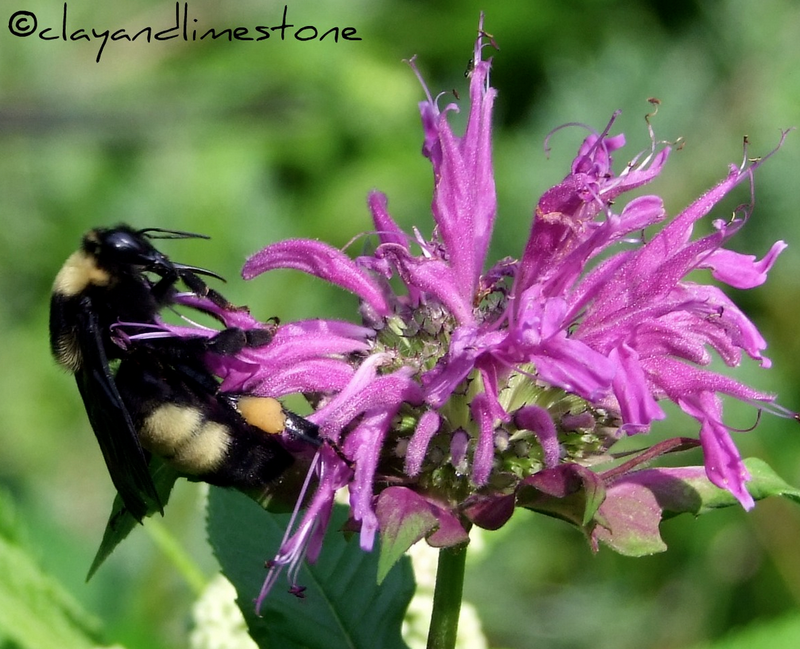 Fill your garden with native plants that are pollinator magnets! You'll never be sorry. 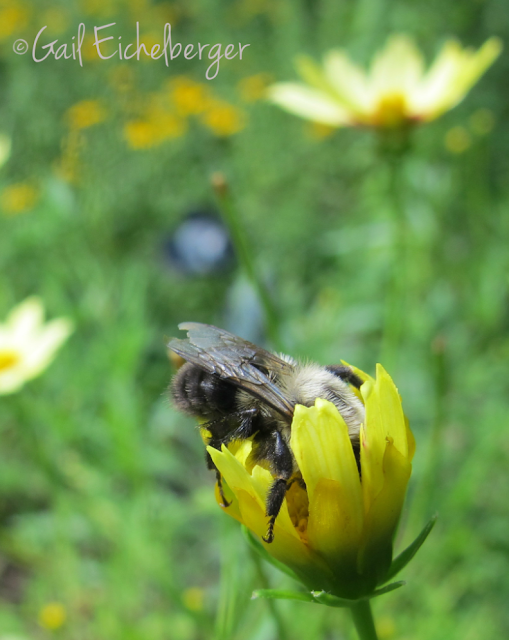 Here's the nitty gritty for creating a pollinator friendly garden. take the pledge to never, ever, ever use pesticides in your garden. I really do mean never! If this post helps you have as much fun as I have gardening for pollinators and other wildlife then I will consider myself successful. 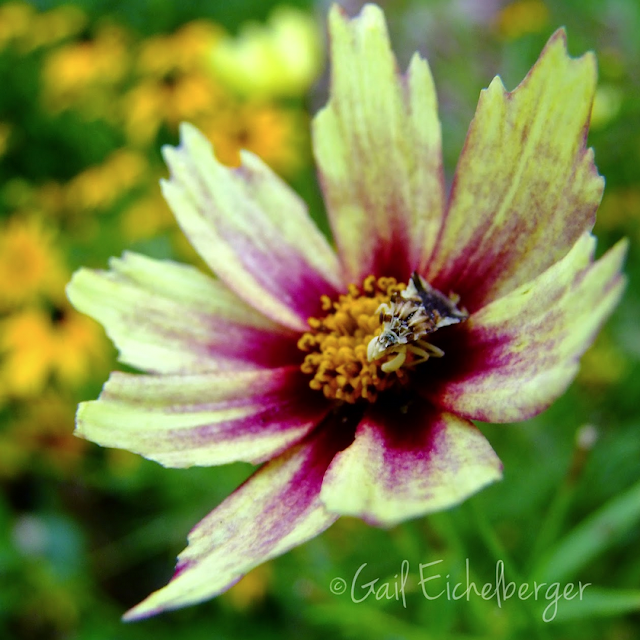 I had no idea coreopsis was a pollinator magnet. I've just added some. I am working hard to put pollinator plants in my garden and I think it is going pretty well - echinacea, mountain mint, bee balm, joe pye weed, lindera benzoin spicebush, and honeysuckle. So far! I totally agree. No pesticides! Nothing is flowering in my shady garden at the moment. But it is full of critters, all very welcome. I am happy to learn that many of the woodies are far more important to insects than flowering plants. You explain things so well...this is so helpful! Great post! 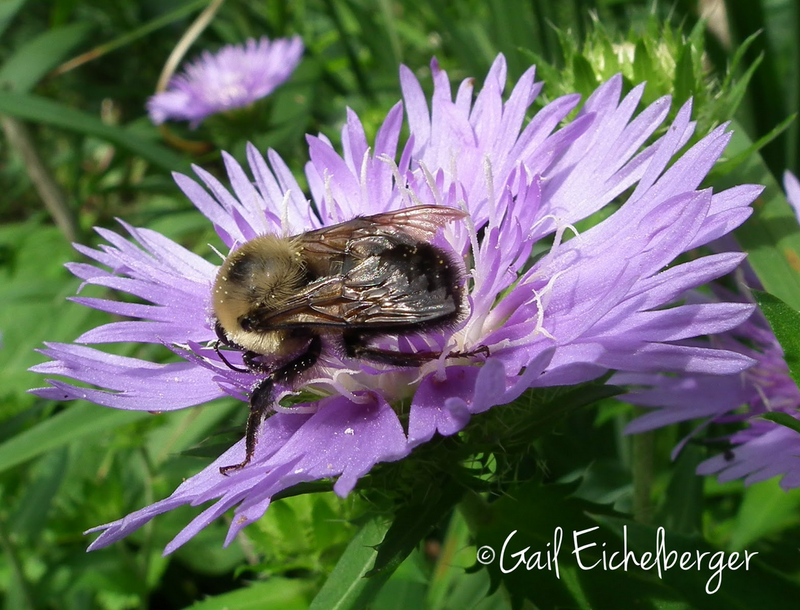 You are an inspiration for gardening for pollinators, Gail. Nice round-up! 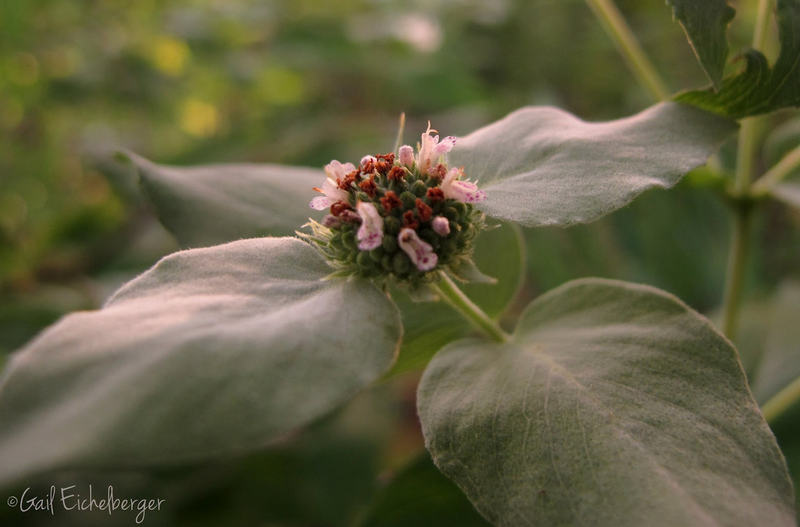 I cannot wait for my Mountain Mint (aka big buzzing bee plant) to bloom! 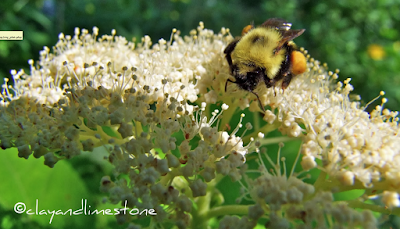 A garden without pollinators is no garden at all! Pycnanthemum muticum is probably the king of pollinator attractors and blooms almost all summer long, at least in my garden. I'm sorry that you are in a sea of lawn. Disappointing. And yours is such a beautiful garden, that invites others to join you. 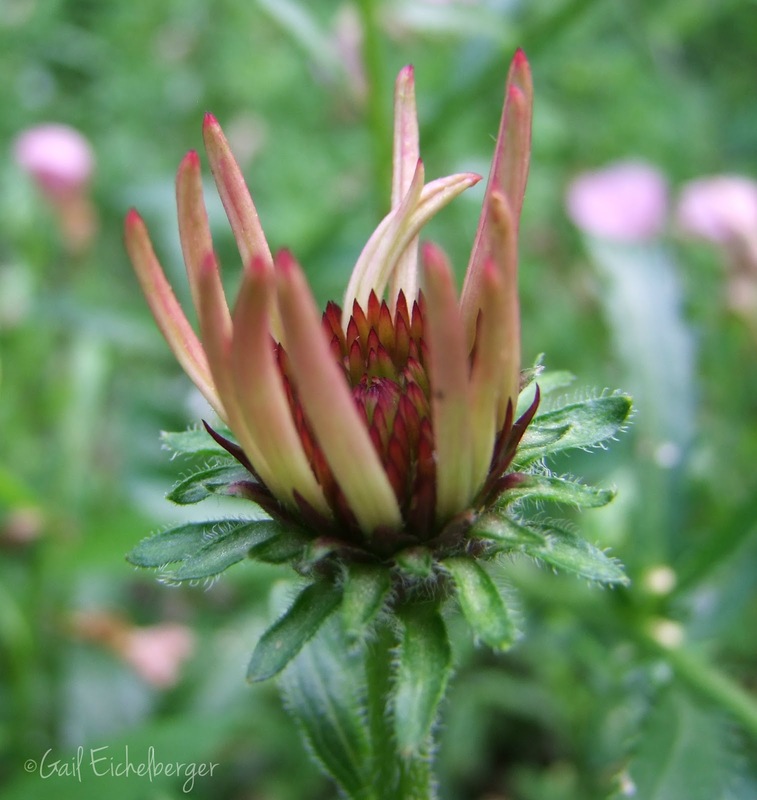 I have truly wildflowers on today's post, and next week those that are in my garden. Beautifully said. I feel like every time I add a native plant, my yard becomes a little more alive. It's my second year of native gardening and the journey has been lovely so far. Thank you for your inspiring posts. There is always more to learn. I just figured out the identity of a native rose that I've grown for close to 30 years! There doesn't seem to be as much information about it as other native roses. But I'll keep looking! I've learned a lot from this post - for instance, that bottlebrush grass is a host plant for butterflies. I may have to give it another try. You have picked so many of my favorites Gail....the pollinators are busy and numerous this year, and they are waiting for the monarda to open. It seems to be the biggest and longest draw for hummers, pollinators and butterflies. Great choices. And thanks for the reminder on pirate bugs. I've been seeing these little bugs in my garden for weeks now and I think you've helped me ID them as pirates! I couldn't agree more with you on the no pesticides part! Hands down, this is what I always tell my friends as well. Creating a pollinator friendly garden has been important for me since I found how my garden can benefit from certain insects and vise versa. You've explained everything very clear, thank you for the wonderful post.